Kim Gillespie has been working in ceramics for many years, in her own practice and teaching both adults and children about working with clay. 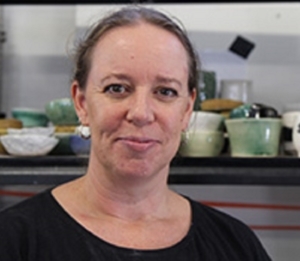 Having worked at Shenton College and more recently at Perth Studio Potters, Kim has a vast knowledge of different techniques for throwing, hand building and using various types of clay. Kim originally studied a Diploma in Studio Ceramics and went on to complete a double degree in Visual Arts and Education at Edith Cowan University.